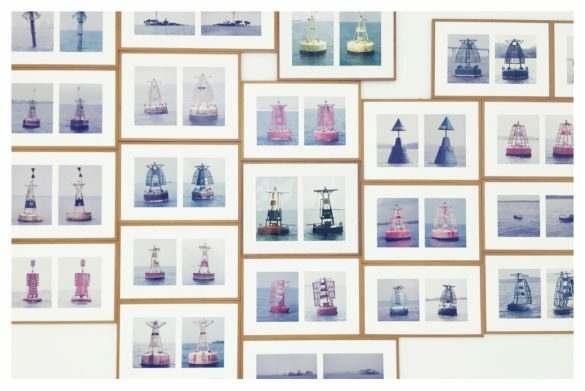 So I finally had a chance to see in person Singapore artist Charles Lim’s decade-long SEA STATE project that headlined the Singapore Pavilion at the recent Venice Biennale, at the NTU Centre for Contemporary Art Singapore at Gillman Barracks. 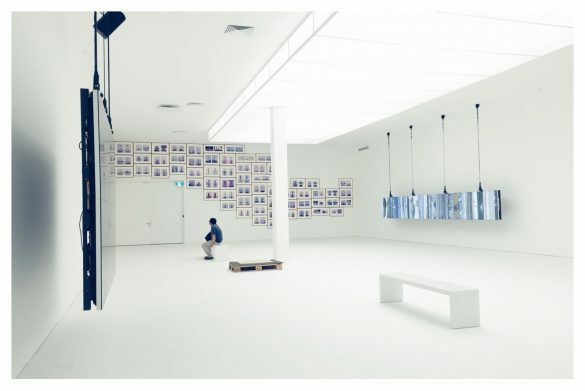 Firstly, the NTU Centre for Contemporary Art have a beautiful formal space, wide and white-walled, which seemed apt in its stark, polished presentation of the various mixed media pieces in SEA STATE. The ambience and effect is utopic, and quietly unnerving. The main photographic work, and also the first that greets you at the exhibition, is a Becher-like typology of sea marker buoys moored around the waters of Singapore. The centrepieces are without doubt Charles’ moving imagery and films –meditations on, in and under water – displayed on large vertical plasma screens. Tilting the land on its side, and revolving momentously is disorienting, but enchanting. I’ve always believed that access, and related insight, is a key ingredient, and I can’t think of any other artist in Singapore with ‘former Olympic sailor’ in their resume. Admittedly, the sea is foreign land to me, hence I found SEA STATE by Charles Lim engaging and entertaining. It is also a lesson in formal presentation. Now showing at NTU Centre for Contemporary Art till 10th July.